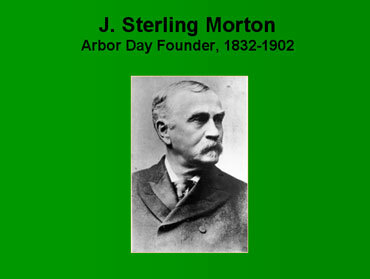 National Arbor Day was founded by J. Sterling Morton in Nebraska City in 1872. There weren't many trees in Nebraska at the time and Morton thought it would be a good idea for groups to plant trees in the city. 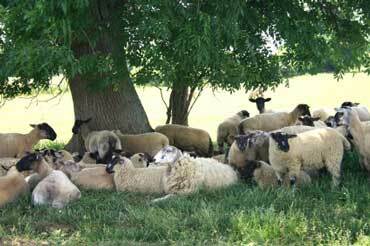 Trees provide shade for animals, a home for birds and insects, and a place for animals to escape from predators. Trees also produce oxygen, which is used by both animals and people. 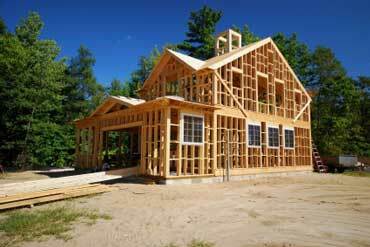 Wood from trees are used to build houses, boats, furniture, and other items. They also provide food like fruits and nuts. Trees create protective wind barriers and beautiful spaces where people can relax. Copyrights to the pictures and photos on this ESL lesson and EL Civics website belong to individual photographers. We have purchased the rights to use them. Do not copy the pictures and photos on this site. Permission is granted to copy any of the worksheets for classroom use. You may link to any page of this educational website. Contact Christina Niven, ESL teacher, at christina@elcivics.com. Please send corrections, comments, and requests for new ESL lessons. Copyright © Christina Niven, 2007.